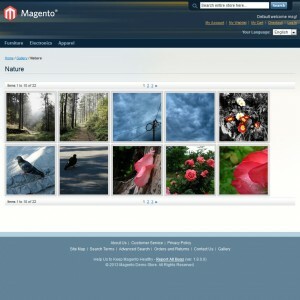 Following the success of Inchoo Flickr Gallery that I published while I was working at Inchoo and the fact that it is still the only fully featured Magento Flickr gallery extension out there, I decided to make it even better. Instead of just tweaking the old version I decided to make it as good as possible so I started from scratch. Don’t worry though, it looks and works just like you expect only better, plus it’s much easier to modify and play around with for both frontend and backend developers. 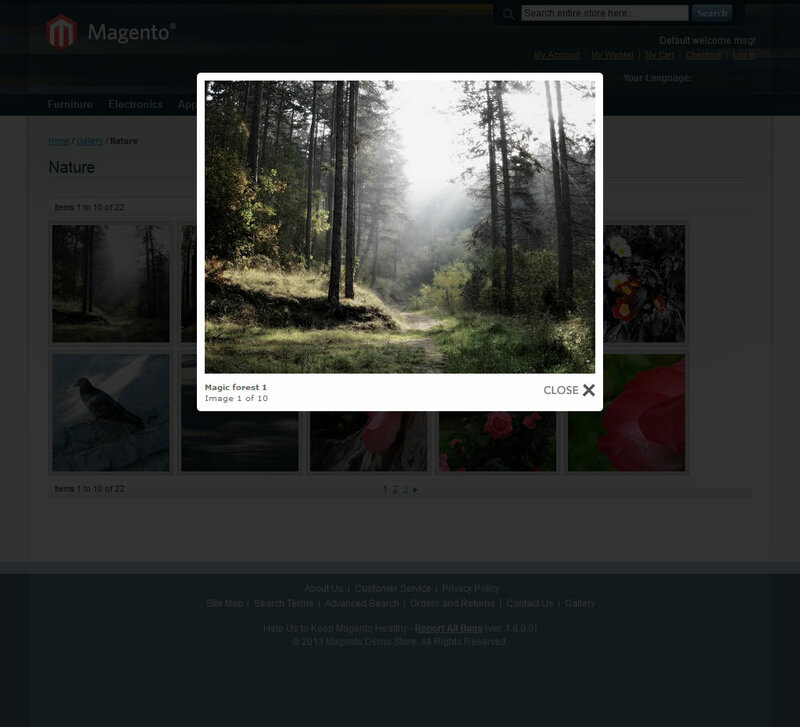 Download Srka Flickr Gallery extension files to your Magento root directory. You can find it on github at https://github.com/srka/Srka-Magento-Flickr-Gallery. Extension files will be extracted into the base package / default template so if you have your own package just copy the extension files to your package / template directories. 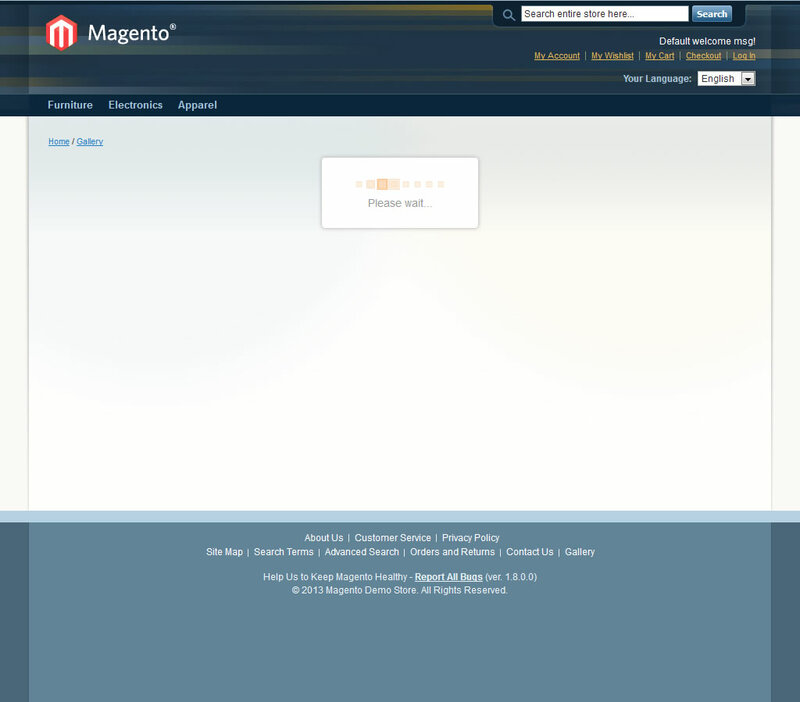 If you are logged in to your Magento admin you have to logout and then log in again. Clearing the cache would also be a good idea. 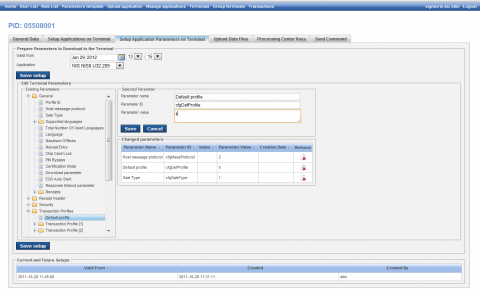 Note: php config option allow_url_fopen sould be turned on in order for this extension to work properly. If you got a “String could not be parsed as XML…” error while trying to use this extension allow_url_fopen is probably causing it. 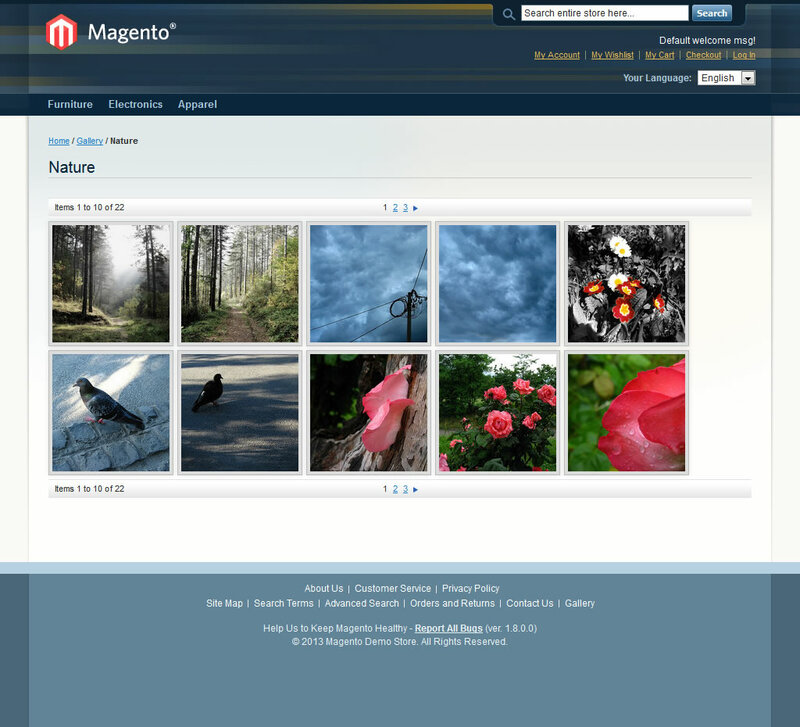 Srka Flickr Gallery extension is made to be fully and easily configurable from Magento admin. Just go to System -> Configuration -> Srka -> Flickr Gallery to find all the available configuration options. 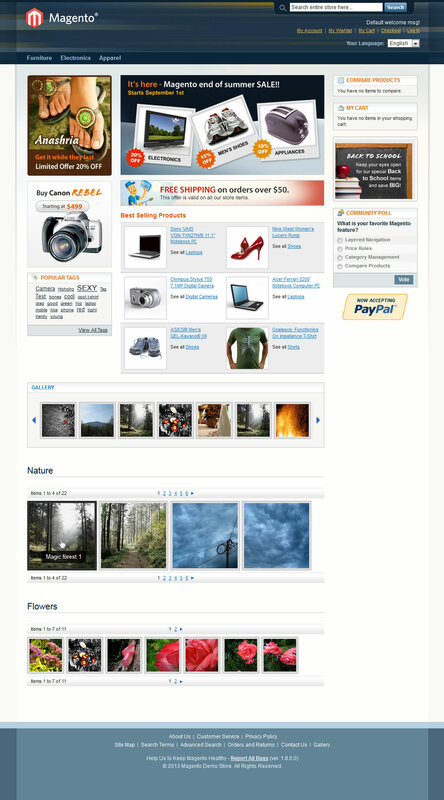 To get started you’ll need to have a Flickr API Key and User ID. Go to http://www.flickr.com/services/api/misc.api_keys.html to get your own Flickr API Key and http://idgettr.com/ for your User ID. Once you enter your API Key and User ID save your configuration and you will get the list of all the available photosets for the user specified with the User ID. You can select all of them or just the ones you want to show on the site and save your configuration. That should be enough to get the gallery up and running. All other configuration options are pretty straightforward with useful descriptions so there is no need to explain them here. How to access the gallery on frontend? How to add a photosets carousel to any page? To add a carousel of all the photosets you just need to add one line of code to your layout updates. NEW! How to add a photoset to any page? The most requested feature is finally here! 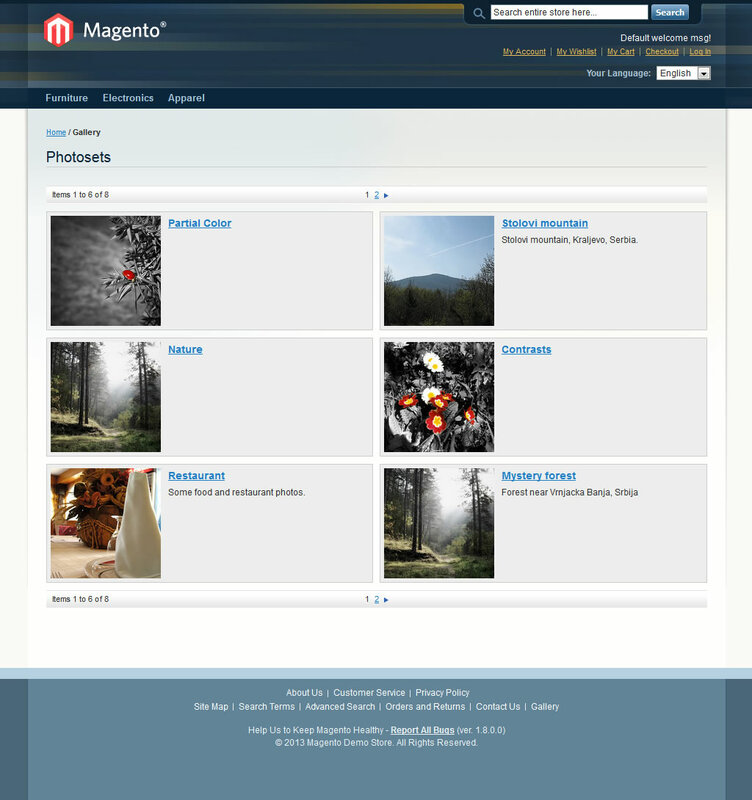 You can now add a photoset to any page using layout updates. It’s really simple, let me show you. If you don’t want to use the lightbox feature or you are using your own you can remove the the lightbox.js and lightbox.css files from the code above. Note that the [THUMBNAIL_SIZE_SYMBOL] uses the same symbol format you can find on the Srka Flick Gallery admin configuration page. It uses Flickr API suffixes that you can find here. Hi I have installed your flickr gallery extension but I cannot display the image description only its title? Please can you advise on how to add the image description? Hi Paul and thank you for using our extension. Hi, I installed your extension, but now working. when i try www.mydomain.com/gallery i encountered : "Fatal error: Call to a member function getChildHtml() on a non-object in /home/khar9/public_html/domains/edsadadaex.ro/app/code/community/Srka/Flickrgallery/controllers/IndexController.php on line 15" I use magento 1.7.0.2. /PHP 5.3 any advice ? Thanks in advance. Best regards from Romania. Adrian. Please check the layout xml file (flickrgallery.xml) for the "photosets" block (should be around line 39) under "content" reference in "flickrgallery_photosets" handler. If it's not there or if the name is changed you will have to change it back to "photosets". Hi, I just saw it in mypage.com/gallery How to add this onto the footer page of my Magento: mypage.com ? footer pageis: footer.phtml Thanks so much! 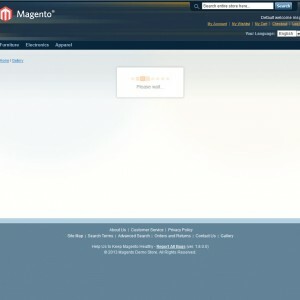 Do your extension support Magento 1.9 ?? I do see the photoset in backend using my flickr userid . But there are nothing in frontend . @Kenny Kang: I haven't tested it on 1.9 yet. I'll do it as soon as I can. 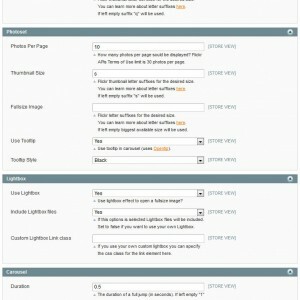 Hi nice way to explain about Magento flicker Module in your blog. 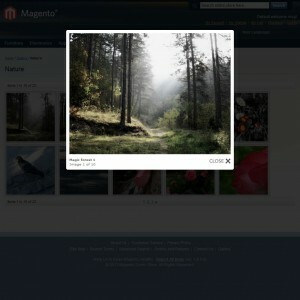 Can you please tell me that, Is this Extension supported multi store option at a photo Gallery level?